In addition to providing special benefits to GAM members, our Corporate Sponsors, through their financial investment, help ensure that amateur golf in Michigan continues to grow and prosper. We urge you to recognize and patronize them to help express our thanks. Great Savings on hotels and tickets! By checking one site, GAM members can enjoy FREE access to exclusive member-discounts at great hotels and resorts, paying 15%, 30%, even 70% less than other travel sites for the same room at your favorite properties. Each reservation comes with a powerful “Lowest Rate Guarantee”. Also, save up to 30% on over 100,000 sporting events, concerts and theater shows. Compare our prices. You’ll be glad you did. To “Login” or “Create an Account”, Click Here. New visitors, select “Create Account”, enter your GHIN ID # and create a password. Click “Register”, and Prepare to Save and Play More! Golf’s greatest champions are headed to historic Warwick Hills Golf & Country Club in Grand Blanc, Sept. 9-15. 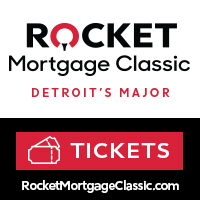 Benefiting local charities in the greater Flint area, this 54-hole stroke play golf tournament features 78 PGA TOUR Champions - professionals competing for a $2 million purse. 10 spectacular courses, including the 2019 National Golf Course Owners (NGCOA) “Course of the Year” - The Heather. With designs by Robert Trent Jones, Sr. and Arthur Hills, BOYNE Golf has been selected as the Best Golf Resort in the Midwest with properties across Boyne Highlands, Boyne Mountain and the Inn at Bay Horbor. Visit BOYNEgolf.com for information, or call 855.998.9368 for tee times and lodging reservations. Show your GAM Golf Card and get a large bucket of balls for the price of a medium at Carl’s Golfland Bloomfield Hills or Plymouth (limited to one discount per GAM member per day). 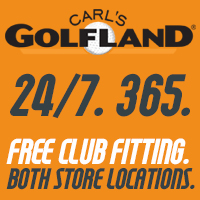 No matter the time of year, Carl's has year-round lessons, free club fitting and TrackMan Range at Carl’s Golfland Bloomfield Hills, where you can take on your foursome in a game of “Capture the Flag” or “Bullseye”. For more information or to shop online year-round, visit us at www.carlsgolfland.com . We offer free shipping on orders over $50* and always free returns. Dunham’s Sports — with 69 locations in Michigan — is offering members a 10 percent discount* on all regularly priced merchandise when they show their 2019 GAM Golf Card. Visit www.dunhamsports.com to find a location near you. *Some restrictions apply. Global Golf Post is known for its weekly magazine. Now there’s more! The all-new GGP+ offers great golf journalism you won’t find anywhere else. No ads. No clickbait. Learn more and subscribe at www.globalgolfpost.com. Included in GAM’s annual dues is a one-year subscription to one of the following magazines: Golf Digest ($12 value) or Conde Nast Traveler. Households consisting of two GAM members will receive a one-year subscription to Golf Digest and a one-year subscription to Conde Nast Traveler. Otherwise, members will receive a 12-issue subscription to Golf Digest. If they are already existing Golf Digest subscribers, they will receive a one-year extension to that subscription. Imperial is all about the finer things in life. The back nine at dusk. Relaxing with friends at the beach. Saturday tailgating done right. We believe life is a series of moments and you better be ready for them. Our mission is to prepare you for endless opportunity by providing style and comfort. Expert craftsmanship is something we consider a tradition at Imperial. We pay close attention to every detail and every stitch on everything we make. Classic with a twist is what we aim for, and we’ve been doing it since 1916. The state’s leading golf program celebrates its 20th season with MGL Radio Saturday mornings on 10 stations across the state, and MGL-TV every Sat./Sun. at 9:30 a.m. on Fox Sports Detroit. Visit www.mgltv.com for more information! Supplies complimentary Aquafina for participants at GAM competitions. ClubCorp is pleased to offer Play Away Membership. With this unique membership, you will enjoy complimentary golf and dining benefits at more than 200 private clubs coast to coast. Visit www.playawaymembership.com or call 866-659-3380 to enroll today. About 85 miles east of Atlanta, tucked into the rolling lake country of Georgia, lies a community unlike any other. Founded on 12,000 acres of brilliant lakefront property, Reynolds Lake Oconee features six carefully crafted golf courses, a unique sporting ground, and all the recreational and culinary amenities befitting a world-class private club. With nearly 40 diverse clubs and dozens of activities both common and unique, our community shares in the constant joy of an active and engaged lifestyle. So, no matter your passion, at Reynolds Lake Oconee, once-in-a-lifetime experiences await you every day. Since 2007, Sullivan Golf Travel has been the dedicated travel partner for the GAM, providing golf experiences to Ireland, Scotland, England, Spain & Portugal. 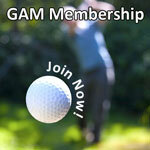 Visit our website at http://sullivangolftravel.com/golf-association-michigan/ for further details & GAM Member Discounts. West Michigan Golf Show in downtown Grand Rapids is an extraordinary gathering of Michigan’s golf industry, with 12,000 golf enthusiasts and 150 exhibitors! This annual event marks the official start to golf season - come be a part of it! For information to exhibit or attend, call 616-447-2860 or www.WestMichiganGolfShow.com.